This week we had our first rain on Tuesday early evening and got 1 ml. The next morning, we got a few sprinkles and Wednesday afternoon a few sprinkles to get the land wet. Saturday we had a big downpour of 5 mls. We are hopeful this is the start of a great rainy season with lots of crops grown and plenty of food harvested for all. Things are already getting green! On Monday I got my results back showing I had a UTI so had to have the catheter changed and start on IV medication. I had 2 days of the medicine I needed from the last time I used it and then sent my drivers to town to buy 5 more days. With all the upheaval from the Economic meltdown going in Harare they went to 8 pharmacies and hospitals until the finally could buy enough medicine. I was getting worried and started praying they could find it. When I heard they couldn’t even get it at a hospital and knowing this med is used for resistant bacteria I began to worry for all the sick people! He was finally able to find it at a trauma center and pay only in US$. I was afraid I was going to have to send Major to Zambia to find it. When I called him (he was in Karoi) and told him they were having a hard time finding it. He called our drivers and said, “don’t come home without—it’s for Sister” and he was serious! 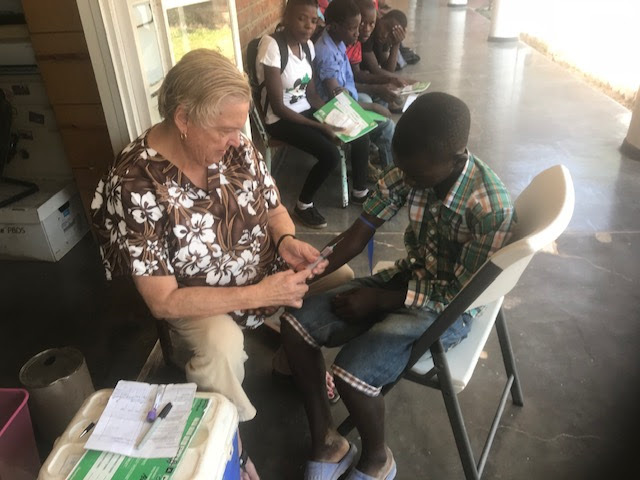 When Major was in Karoi he was so thirsty and there was no place he could buy a drink—even water! There are no drinks in any stores or petrol stations. 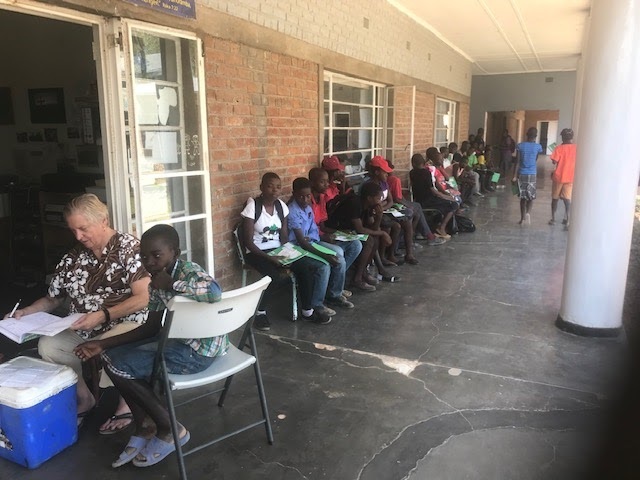 We were to send a nurse to a workshop at Karoi Hospital this week for 1 day and they said bring your own food and drink because there is nothing in stores to buy! She couldn't find transport to go because of fuel shortages for combi's and buses. With cholera in Harare people have been buying bottled water and now there is none—we hope that the cases don’t increase. We will be bringing our own water from Chidamoyo when we go to Harare! The shortages of cooking oil, drinks, bread, flour, fuel, meat continue. There now is a 2-cent tax on every dollar you swipe or pay by phone and with prices so high that adds up to a lot of money. Many of the fast foods have closed down because they can’t get their products. One of the local chicken places is now charging $8 US for 2 pieces of chicken and chips! The government has tried to step in and decrease prices, but we are worried because of last time they did this all the things on the shelves disappeared! This week we tried to buy X-ray films and they want $450 bond (local currency) or $100 US for 100 films! This is making it very difficult for our patients who don’t have US to rebuy from us and also all government hospitals have no access to US so people will be flocking here to get what we have. Right now, we have few IV’s and we are saving them all for C/Sections, but we have no injectable pain medication also. We keep waiting to see if things will improve, but things are getting scarcer each week. 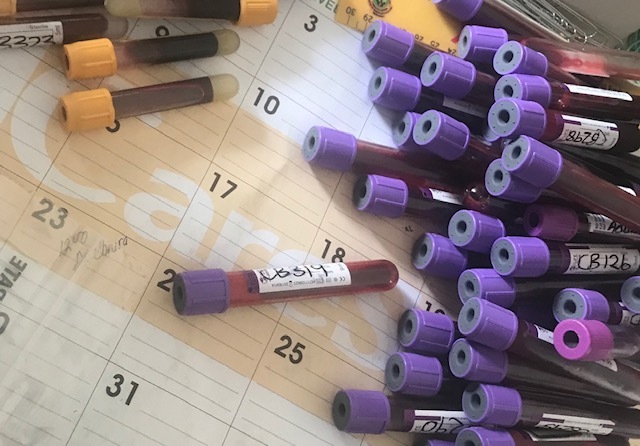 Saturday morning was our Adolescent support group for kids on AIDS and there were many bloods to be drawn for our research project. These were our older kids, aged 12-24. 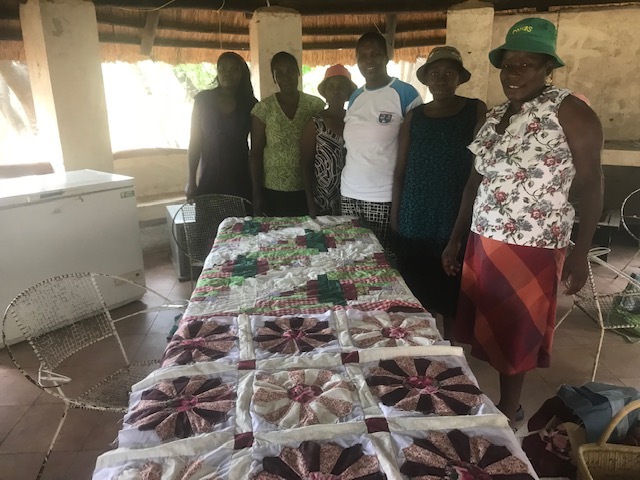 Saturday morning our quilting group met—they our hospital staff and some minister’s wives who meet once a month and sew together and share their projects. They meet in my outside dining room. 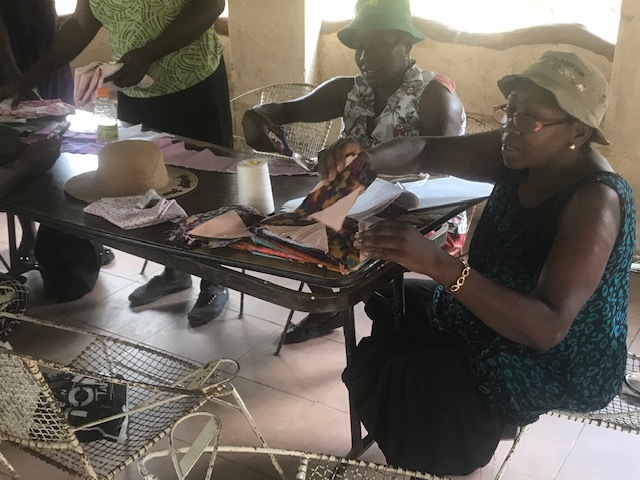 Many women from churches in the US have shared material and sewing supplies and they want to thank them for that as there is no material here they can afford. 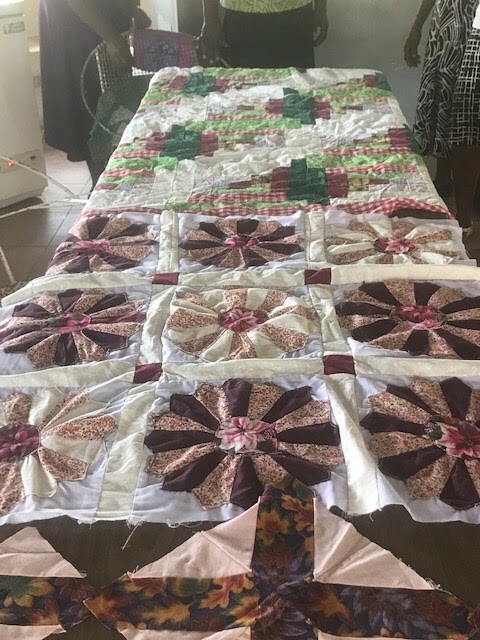 Many are working on big quilts—some sewing with machines and some by hand. They really enjoy these Saturdays where they meet for 4-5 hours! They talk a lot and sew some too! We were also happy to receive news this week, from Carolyn at University in Kentucky , that she got all A's on her midterm report. We were so happy to hear she is doing so well fitting into College life in America! Keep praying for us and the country and our leaders. Pray for all the people in Zimbabwe who were barely making it before all this started. Our patients are suffering from lack of meds and resources. We have no Hypertension, Diabetic and other chronic meds and they can't even go to another town to buy at a private pharmacy. It’s frustrating to us as no pharmacy is selling meds because they want US$ only but the government is not allowing them to do that, so they sell nothing!